Excellent protection when loading and unloading. The load area edge protective mat easily and sustainably protects the bumper of your Audi against damage when loading and unloading. It can also be used as an anti-slip mat for dogs when they enter the luggage compartment. Quick and easy attachment to lashing eyes of luggage compartment. 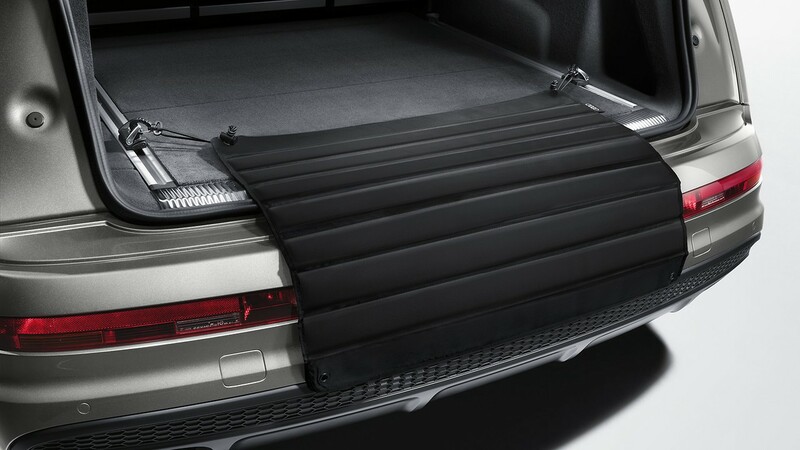 The image shows the load area edge protective mat in an Audi Q7. Practical. Protects the bumper from damage when loading and unloading.